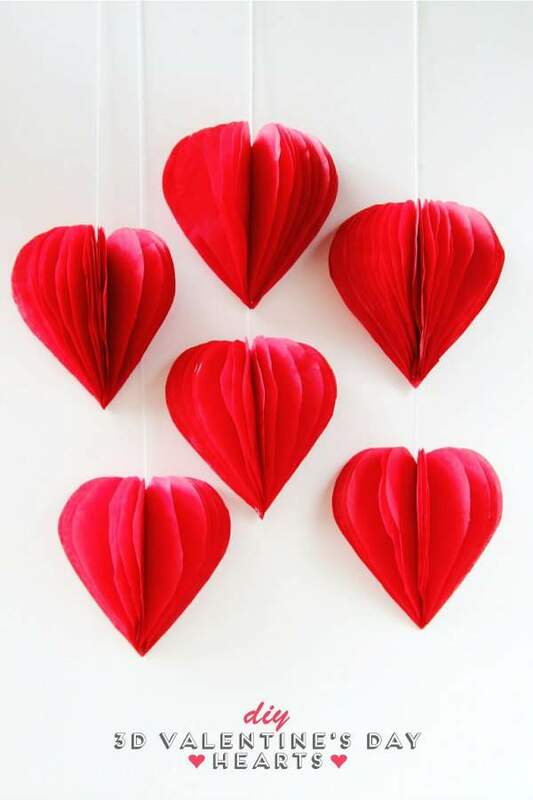 With February 14 on the way, I rounded up this collection of Valentine's Day paper crafts to keep you happily busy during cold winter evenings - or warm summer ones if you're lucky enough to be way down south. Quite a few are my tutorials, but many of the pretty hearts and flowers were scouted out from blogs far and wide. 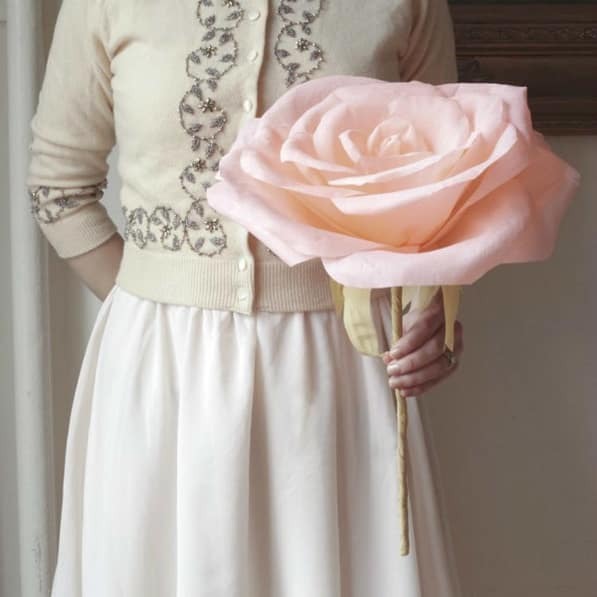 Let's start with this elegant giant paper rose from Valerie Lloyd at Smile Mercantile... it's a true statement maker! 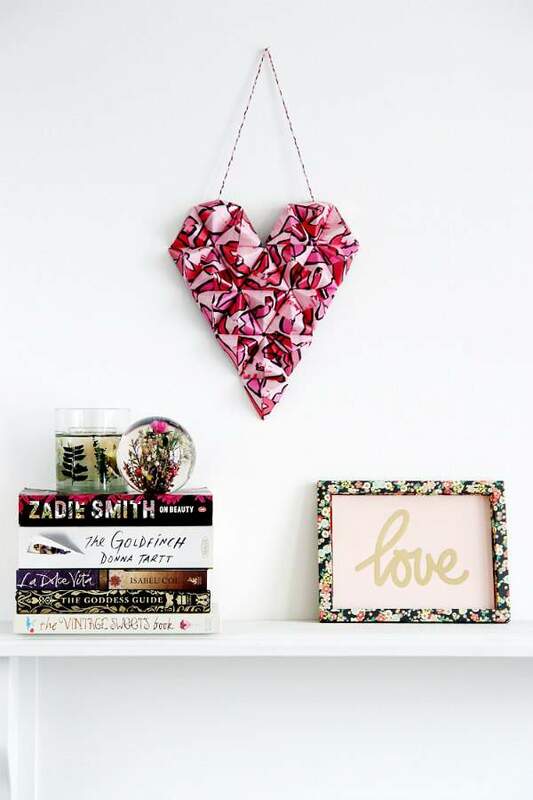 Emma Liston of Gathering Beauty shares instructions for making this eye-catching origami heart wall hanging. 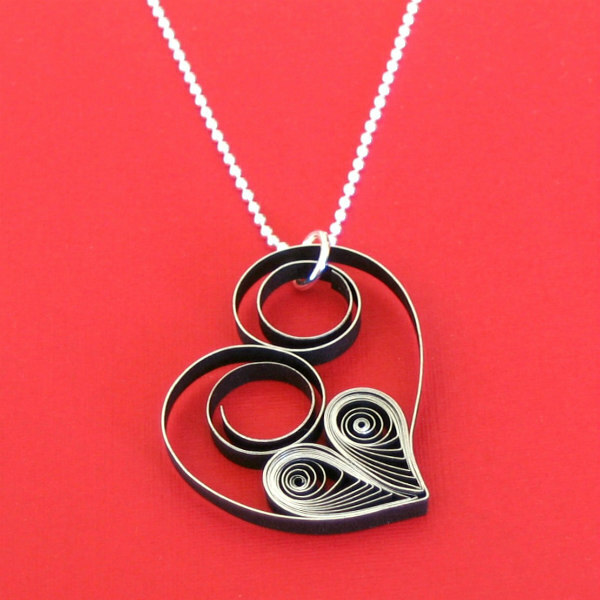 Black and silver quilling strips and an asymmetric design give this quilled heart necklace a stylish look. I'll be wearing mine on Valentine's Day. 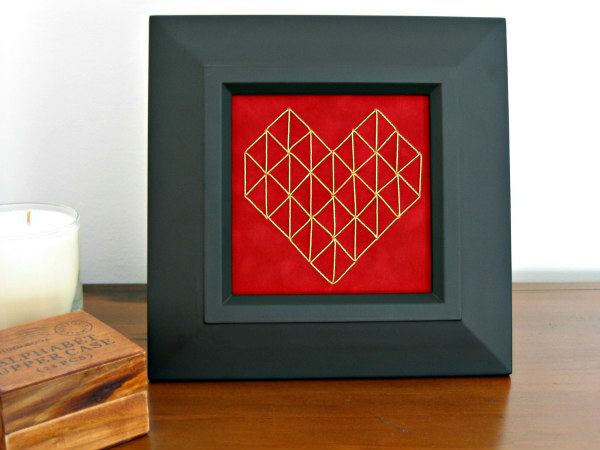 Most of us don't decorate for Valentine's Day with as much verve as at Christmas time, but I like the way this metallic gold stitched paper geometric heart warms my living room in January and February. Quilled lettering is definitely on trend, but block letters are what we see most often. This tutorial gives tips on doing cursive lettering to make a love-ly Valentine. 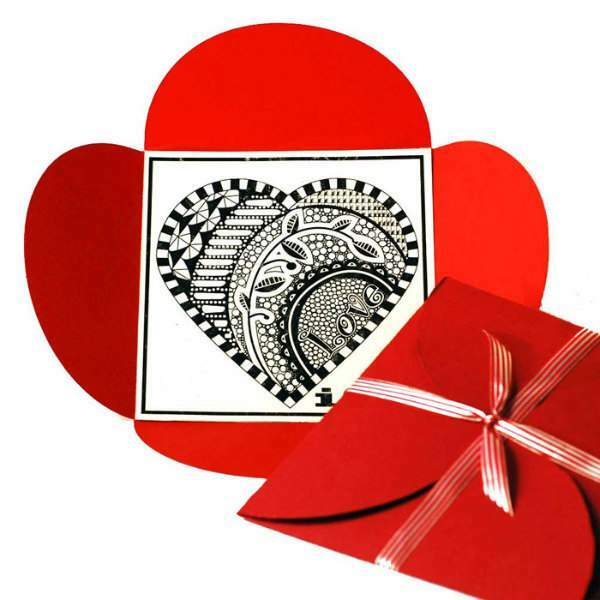 Rita of Easy Paper Crafts designed this dramatic Zentangle heart for us to print out and turn into an easy Valentine card. 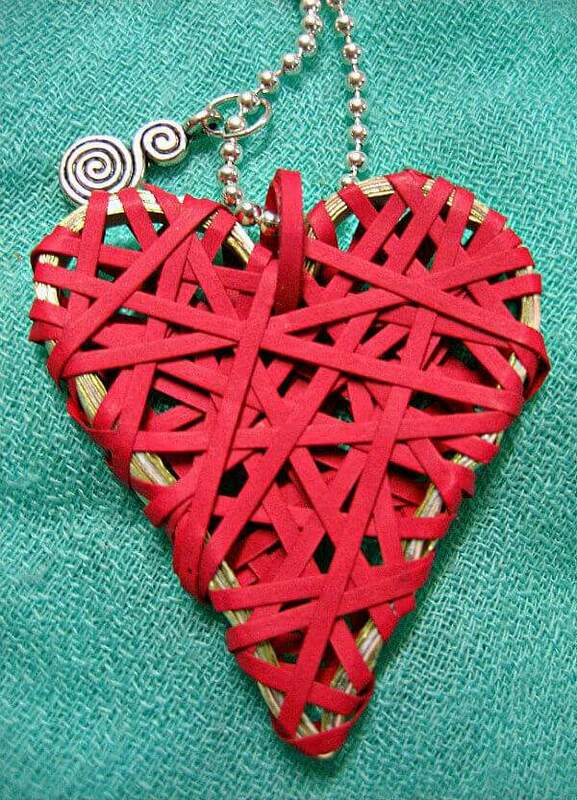 Licia Politis shows how to make a nifty wrapped paper heart that can be worn as a necklace. 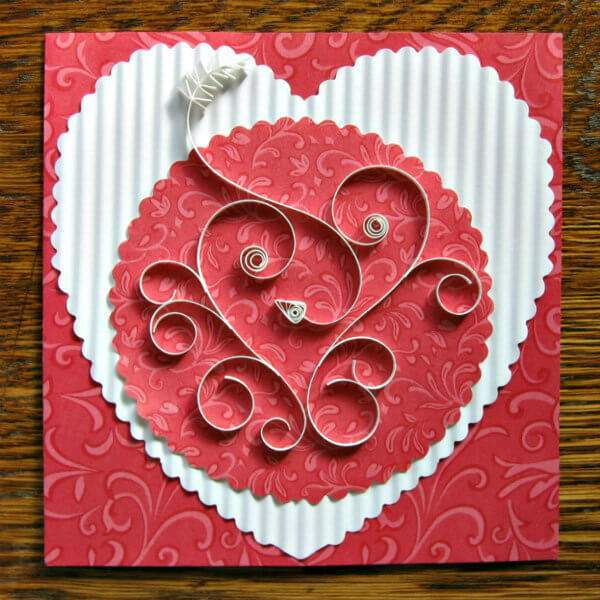 This jazzy stitched heart card was created by Maria for Craft Tuts. Paper stitching is so popular and this is a good starter project. You don't need to re-create the scrolls of this quilled heart exactly... 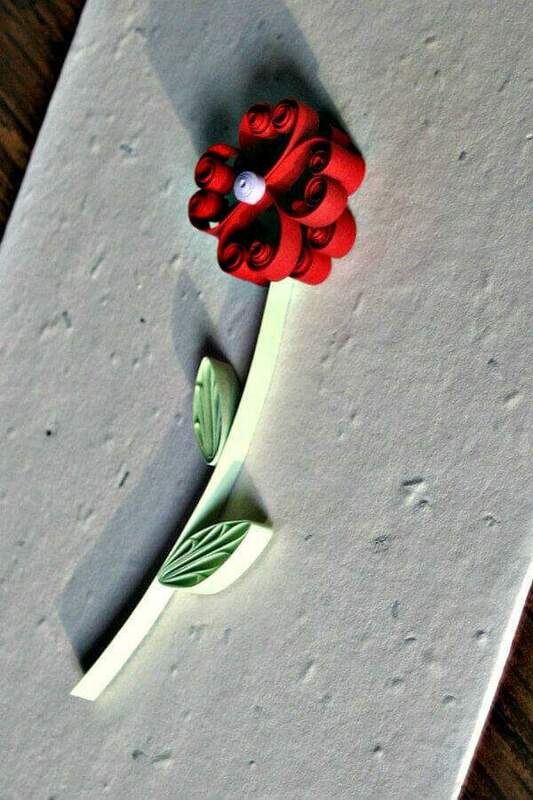 I call it free spirit quilling as they can be placed any which way and still look appealing. Every quiller has to start somewhere and even though the supplies - paper, glue, and a rolling tool - aren't threatening, it does take practice to learn to make evenly sized coils. 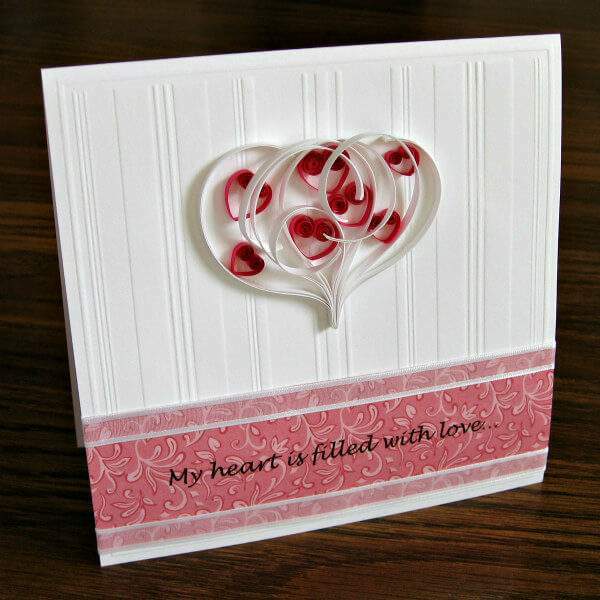 My Quilling 101 tutorial shows three different uses for this quilled heart. 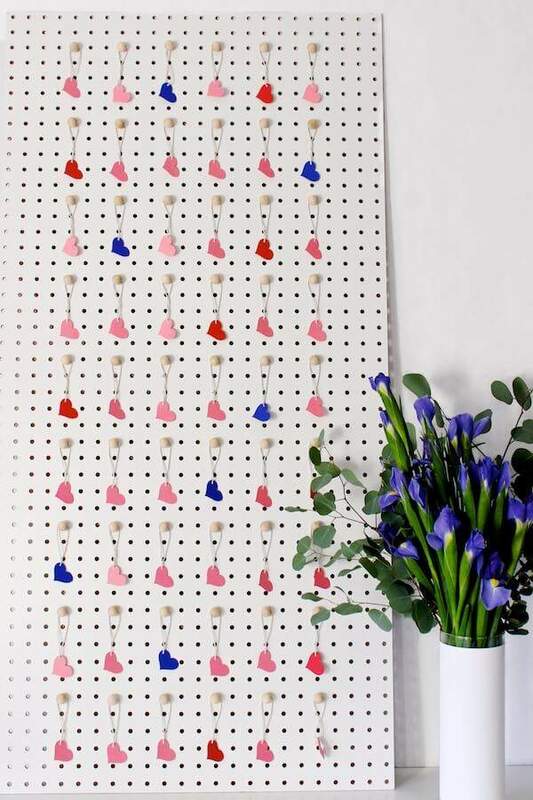 Here's a love note peg board designed by Mandy Pellegrin for Oh So Beautiful Paper. 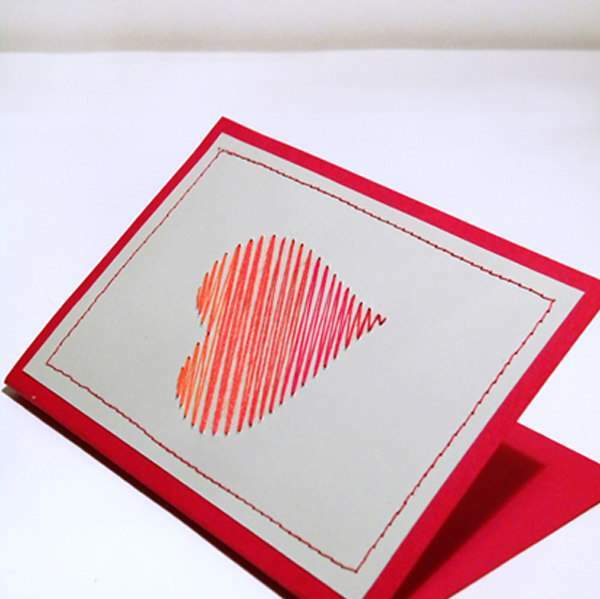 Punch or cut out hearts, write a little note on the back that tells something you love about your partner, and he or she will enjoy turning over one each day leading up to February 14. 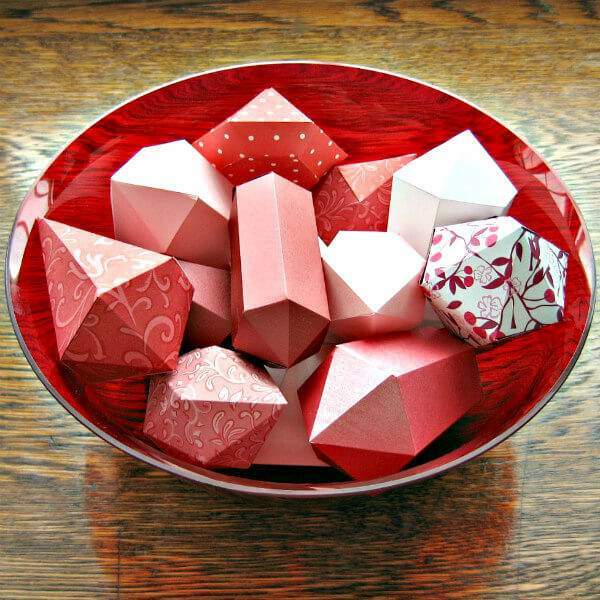 One of my favorite projects ever was these folded paper gems... much easier to make than I expected! Follow along with my tips and you'll be good to go. I've never thought of covering card stock quite like this, but these country-style fabric cards from Suzonne Stirling of Urban Comfort are lovely. 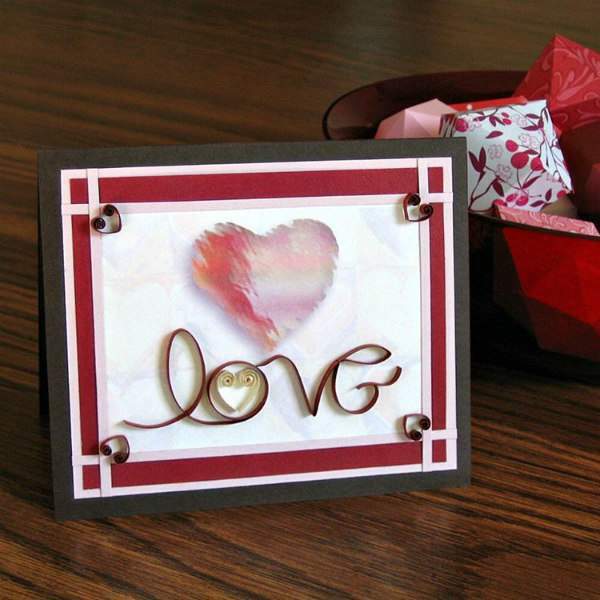 Ann at Dreamy Posy is a whiz at creating 3D paper crafts from simple materials like printer paper and coffee filters, but Valentine's Day calls for something fancier. 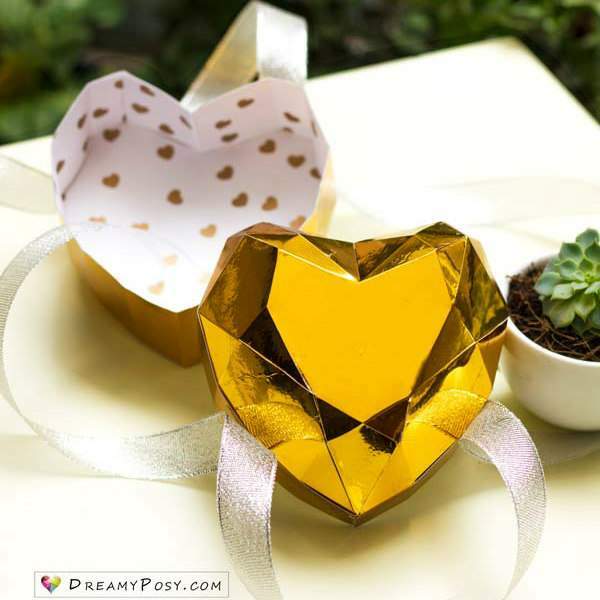 Shiny gold paper makes a glam 3D heart box. 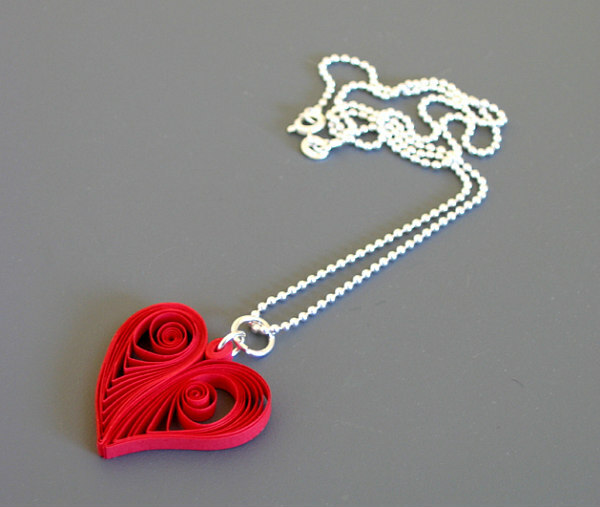 Here's a different take on a quilled Valentine... I call it Hearts Within a Heart. You'll want to either give it in person or mail it in a little box due to the loosey-goosey scrolls... they're pretty though, so worth the extra step. 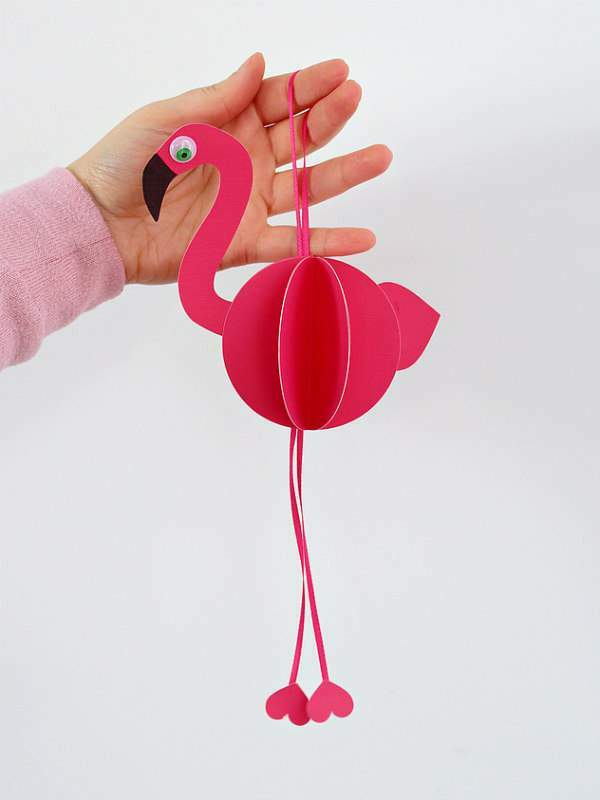 If you have a Silhouette cutting machine - or even if you don't - this adorable paper flamingo, a heart-y take on Maggie's RED TED Art design by Antonella of White House Crafts is a snap to make. Draw the simple lines of the head/neck by hand and cut it out, same with traced circles for the body. Then cut freestyle hearts for the tail feather and feet. 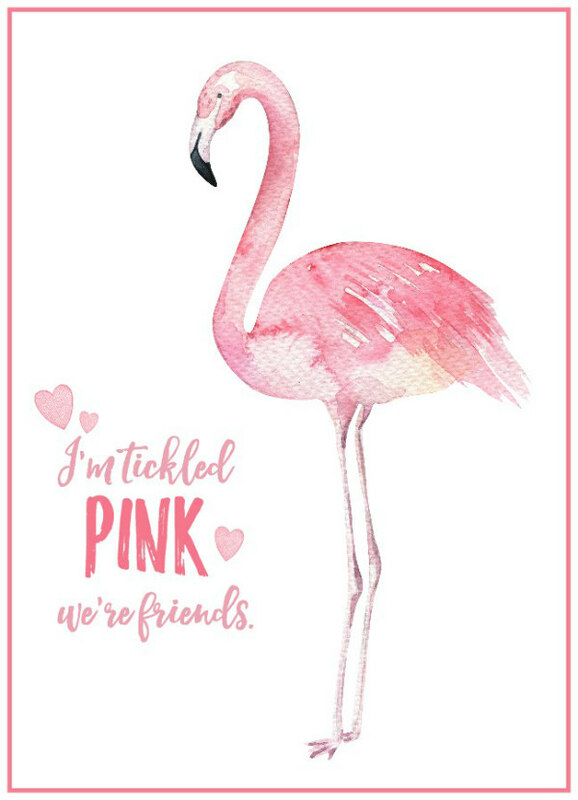 Here's a pretty paper flamingo of a different sort... a free printable card, tag, or 8x10 print courtesy of Jenn at Clean and Scentsible who shares several other cute animal designs at the same link. 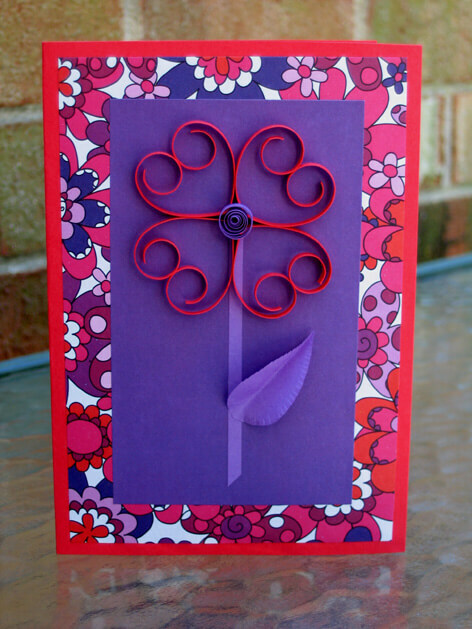 Here's my step-by-step tutorial for making a quilled flower card. The design makes me think of tulips so keep them in mind for Easter too... spring will get here eventually, won't it? 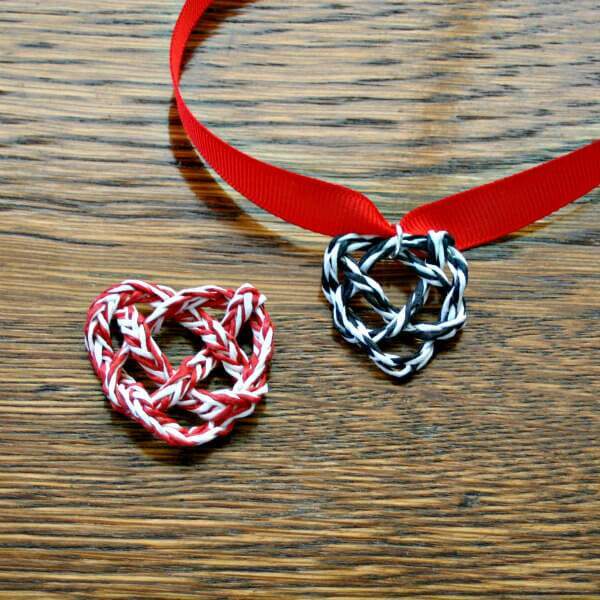 I followed along with a quick video to make these woven heart knots from paper twine... they might look tricky, but they're truly not! 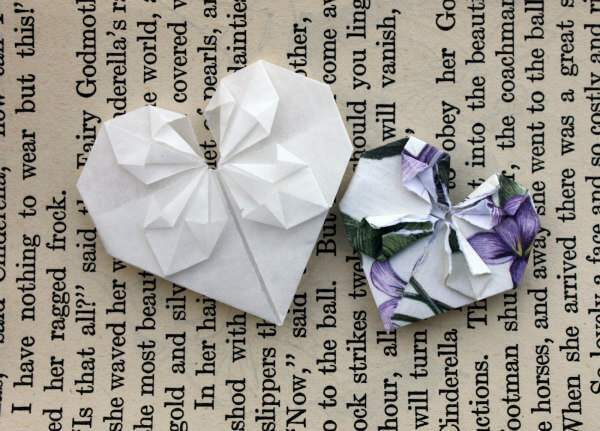 Heather Eddy folded origami hearts from plain and patterned papers that are more complicated... worth the effort though. I'm glad she linked to a video tutorial because seeing someone do the actual folding helps a lot. Here's an easy heart Valentine for kids about age 7 and up to make. Use a wooden dowel or even a pencil as a rolling tool. 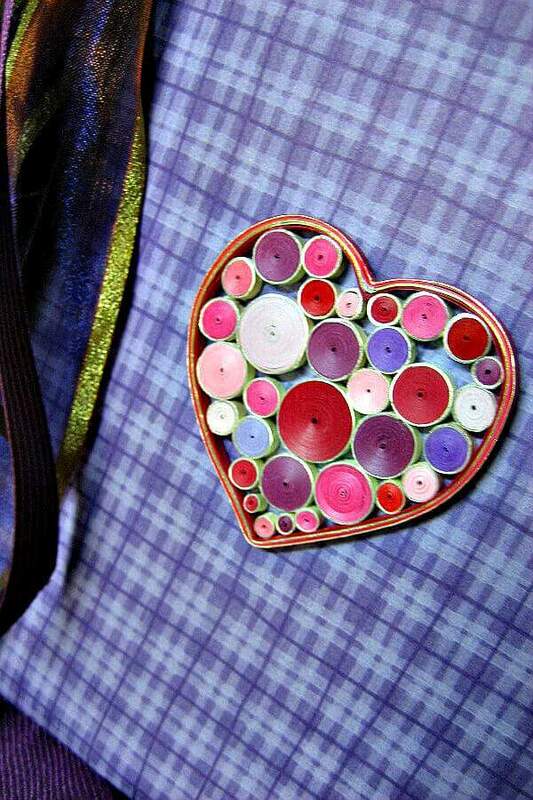 A colorful quilled heart by Licia Politis made up of rolled paper coils can be framed or used to decorate a journal. 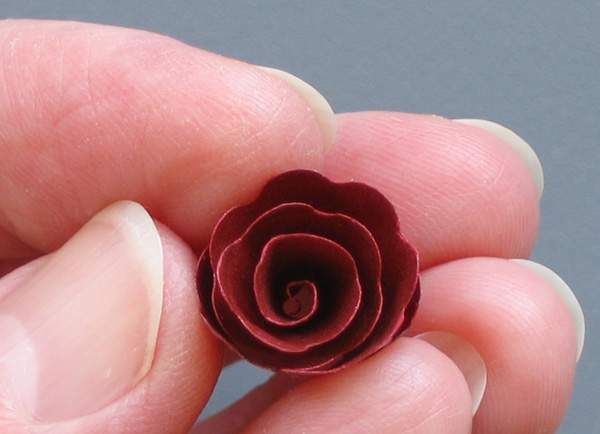 My spiral paper roses have a scalloped edge for a dressy effect... see how easy they are to do. 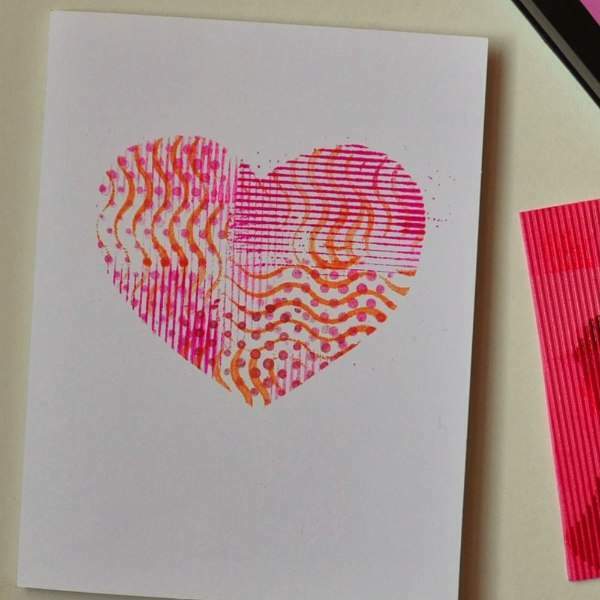 Vicki Smith of Art with Kids designed this cute stenciled Valentine tutorial as a kid-friendly printmaking project. Another pretty project from Emma of Gathering Beauty... she shows how to make dimensional tissue paper hearts to hang as Valentine decor. 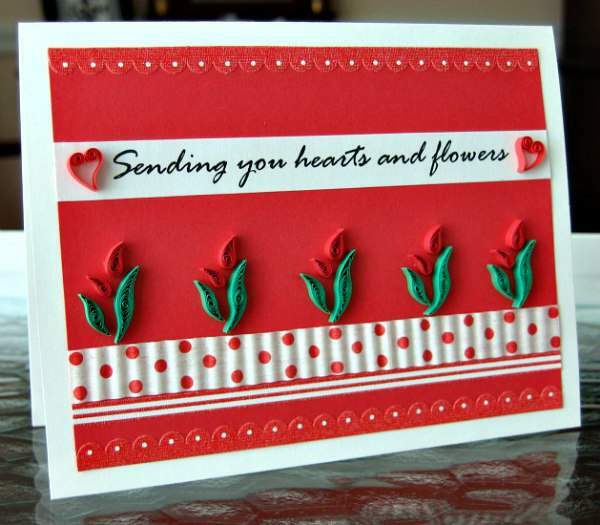 Learn to quill while making my quilled flower that is made up of heart coils. Step-by-step instructions show you how. So there you have it! Which projects pique your interest? 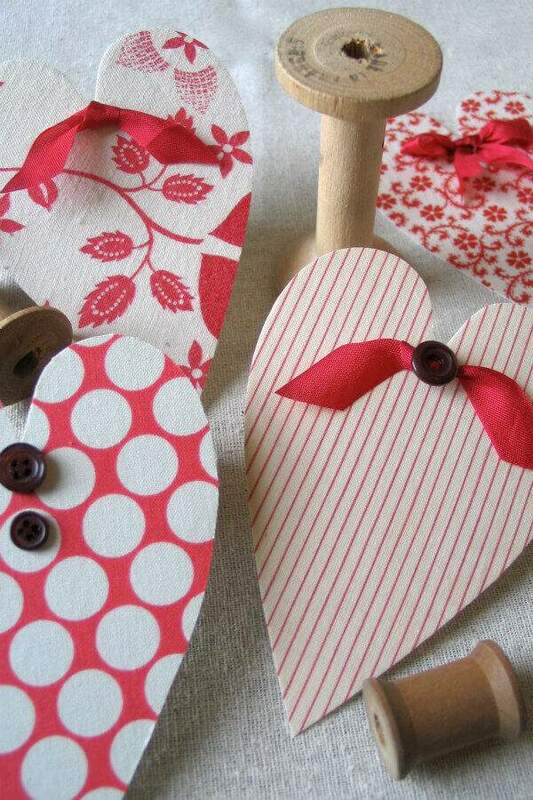 Let me know in a comment below if you've already made something for Valentine's Day or would like to. As always, I'm happy to answer your questions. Wow! What a wonderful variety of projects. Thank you! I'm glad you like them, thanks Daria! There is something for everyone. You have found many paper lover's ideas. Greatly appreciated. Excited to try my favorites. Beautiful variety! Love them all. Love these! Thank you, Ann!